These notes examine a variety of issues in some of the passages drawn from Shakespeare's works. Some notes reference multiple passages. All are searchable by keyword and other categories such as character, theme, etc. Ulysses and Iago express similar themes about order and degree. Iago speaks more specifically about seniority versus affections and recommendations. King Lear’s first scene is notable in its length and structure. At over 300 lines, with more characters on stage than in all but the last scene of the play, and being divided into three sub-scenes, this first scene is almost a play in itself. It begins, as do so many of Shakespeare’s plays, with a few minor characters whose dialogue introduces some of the play’s central themes. The trembling lamb environèd with wolves. Shakespeare’s contribution to the play Sir Thomas More, which may never have been produced, is noteworthy for More’s compassionate speech about immigrants. The scene recounts the events of Evil May Day in 1517, during Henry VIII’s reign when Londoners, after sporadic rioting, threatened to kill Flemish and other European immigrants who were thought to be taking Englishmen’s work. 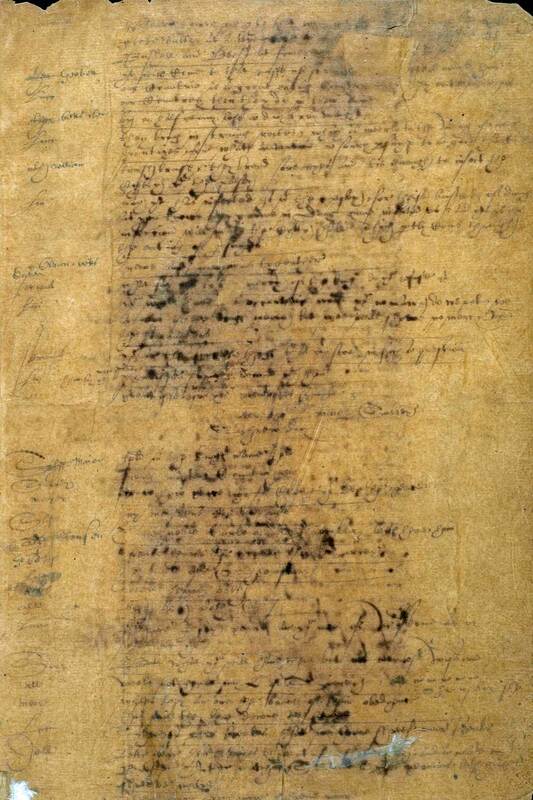 … continue reading this noteManuscript of a portion the play Sir Thomas More in what is believed to be Shakespeare’s handwriting. Shylock more than implies the old adage that it takes one to know one.